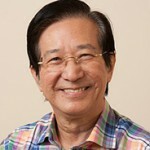 Global micro- and nano-electronics industry association SEMI awarded Philip Yeo (IndE 7T0), chairman of SPRING Singapore, with its prestigious Lifetime Achievement Award at the SEMICON Singapore event on May 7. Yeo was honoured for his pioneering contributions to Singapore’s economic development, especially in the promotion and growth of the semiconductor industry. SPRING Singapore is a government agency responsible for helping Singapore enterprises grow and building trust in Singapore products and services. As chair, Yeo has been instrumental in leading Singapore’s strategic investment into the semiconductor industry. Yeo is also the former chairman of A*STAR and former special advisor for Economic Development in the Singapore Prime Minister’s Office. Learn more about the award in a press release from SEMI.